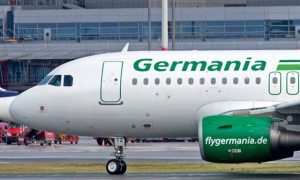 Germania Fluggesellschaft mbH, its sister maintenance company Germania Technik Brandenburg GmbH, as well as Germania Flugdienste GmbH, filed for insolvency at Amtsgericht Berlin-Charlottenburg on Monday, February 4, 2019. Flight operations were terminated in the night from February 4 to February 5. Germania’s employees have been informed. Swiss airline Germania Flug AG and Bulgarian Eagle are not affected by this step. “Those Passengers affected by the suspension of flight operations who booked their Germania flight as part of a package holiday can contact their respective tour operator in order to organize substitute carriage. 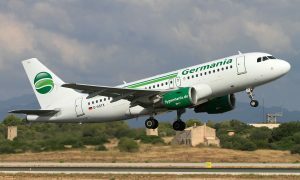 For passengers who have booked directly with Germania, there is, unfortunately, no entitlement to substitute carriage,” the airline said in a statement.